The insurance giant secured naming rights to its sixth stadium, this time in cooperation with Rapid Wien. First design renderings should be presented within days. Rapid Wien confirmed via their official website the signing of a naming rights deal with Allianz. 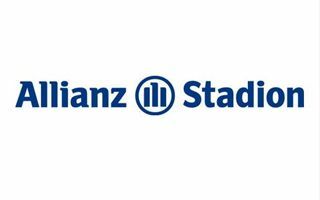 As a crucial part of their new stadium’s financing, the building will be known as Allianz Stadion. Duration and value of the contract are yet to be disclosed. Rapid’s general manager Werner Kuhn assured that supporters will be very pleased after the renderings are presented. “The Allianz Stadion will be Austria’s most modern arena, providing a smart matchday experience and impressive architecture”, he said. Official presentation of the concept will take place on June 10 at Vienna’s city hall. The building will be presented by its general contractor, Strabag. During the presentation details of the naming rights deal should also be released. Rapid still haven’t got the planning permission, but hope to acquire it soon and begin construction this summer. If everything goes as planned, opening will take place in 2016. By June 26 it should be clear whether the scheme goes along its time frame. Rapid are scheduled to play one more game at their old stadium before demolition. On July 6 the team will face Celtic in what is probably going to be Gerhard-Hanappi-Stadion’s farewell. For Allianz the naming right contract is already the sixth. Currently the company uses Allianz Arena (Munich), Allianz Stadium (Sydney), Allianz Riviera (Nice), Allianz Parque (Sao Paulo) and Allianz Park (London) to improve its image.